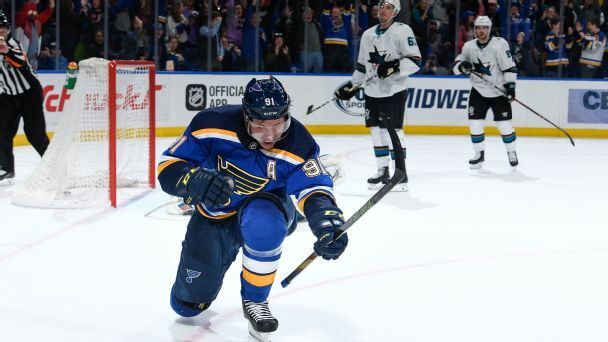 Several solid starting options are believed to be available as next week's NHL trade deadline nears. 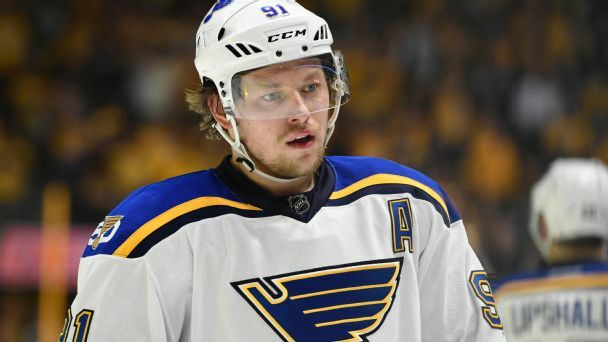 After a flurry of offseason moves, the Blues have become a trendy pick to make some noise in 2018-19. 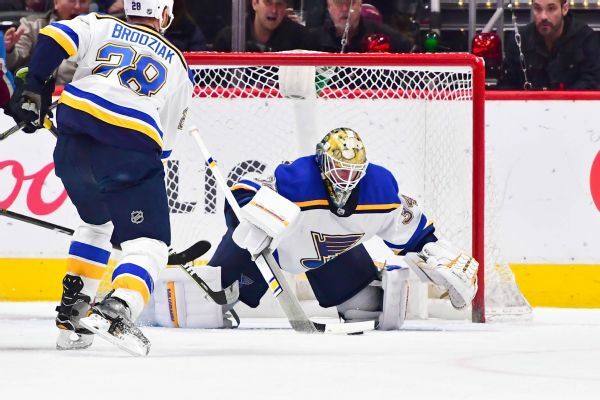 St. Louis Blues goaltender Jake Allen is expected to miss the first week or more of training camp because of back spasms. 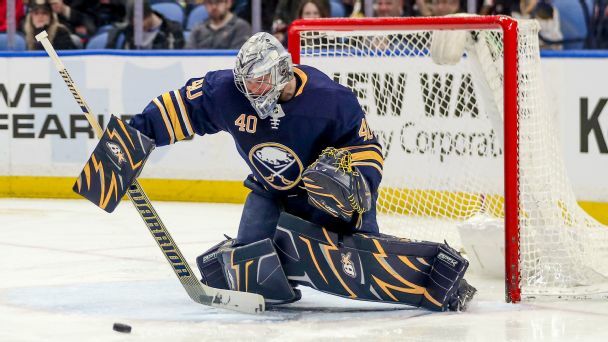 We check in with a handful of netminders on their likes and dislikes, as well as how the NHL's new rules will impact their setups. 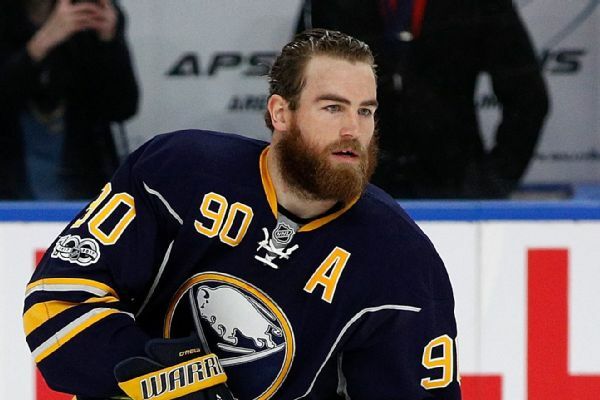 The Sabres acquired three centers and two draft picks, including a first-rounder in 2019, in trading center Ryan O'Reilly to the Blues on Sunday. 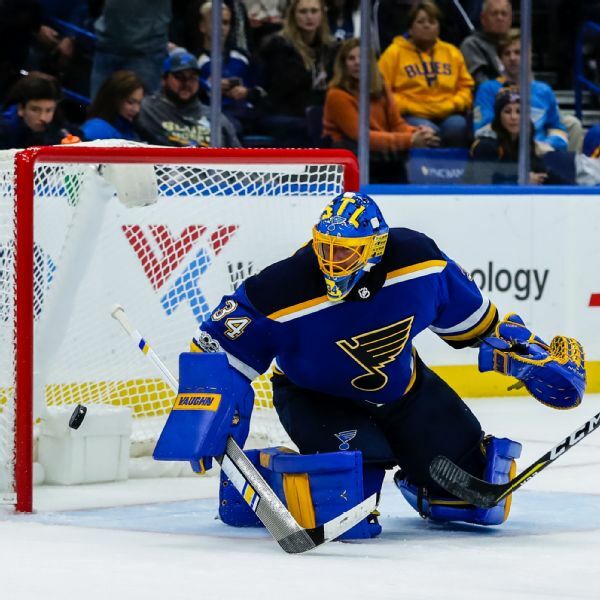 After signing a tryout contract Thursday afternoon with the St. Louis Blues, a vending machine worker and season-ticket holder dressed as the backup goalie for the team later that night. 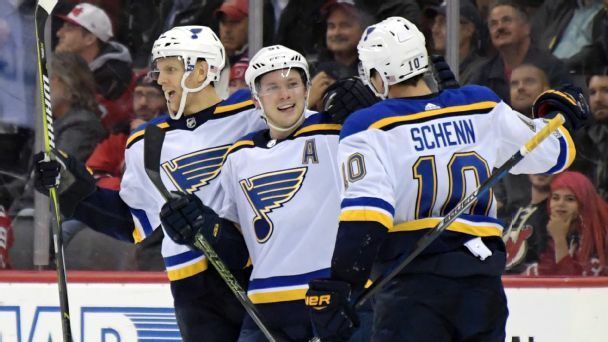 Off to a flying 12-3-1 start, the perennial also-ran St. Louis Blues are atop the overall standings and showing no signs of slowing down, despite being short-handed with injuries to key players. But is this a trend or a fluke? 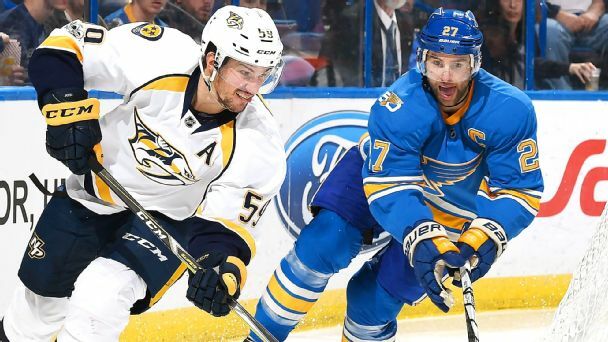 After just a couple of minor tweaks, management is willing to give coach Mike Yeo a chance to get the most out of the team in his first full season behind the bench. But are the goaltending and offense up to the task? 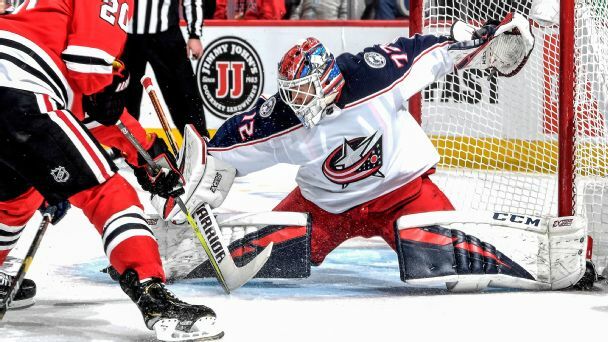 Heavy first-round underdogs emerge from the fray to battle in a series that features the most potent line in the playoffs and a showdown between two goalies carrying big burdens.